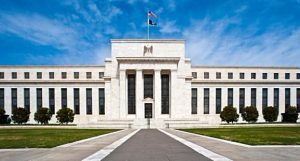 DemDaily: What is the Federal Reserve? President Trump has announced his nominee for new Chair of the Federal Reserve, the central banking system of the United States. Trump's nominee, Jerome Powell, will replace current Fed Chair Janet Yellen, whose four-year term is up in February. This will be the first time a Fed Chair has not served two terms since 1979. 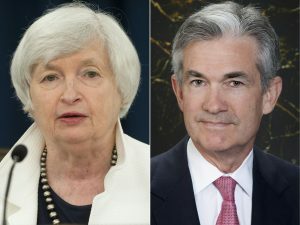 Although Trump heaped praise on Yellen today during today's announcement, the unspoken understanding is that because Yellen was appointed by Obama, she is out in favor of Powell -- a Republican and current member of the Federal Reserve's Board of Directors. 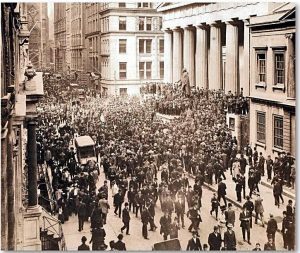 The Federal Reserve System (also known as the Fed) was created on December 23, 1913, under the Federal Reserve Act, after a series of financial "panics" or crises, beginning in 1907, led to the desire for central control of the monetary system. Later the Great Depression (1930's) and the Great Recession (2000's), led to the expansion of the roles and responsibilities of the "Fed." 3) Twelve regional Federal Reserve Banks in Boston, New York, Philadelphia, Cleveland, Richmond, Atlanta, Chicago, St. Louis, Minneapolis, Kansas City, Dallas and San Francisco that oversee the privately owned US member banks. 4) Member banks throughout the country. The Fed also conducts economic research and provides numerous publications, including the Beige Book and the FRED database. The US Department of the Treasury, an entity outside of the central bank, prints our currency. Although Powell's appointment will, no doubt, draw criticism as a strictly political move, he is still considered a "safe" choice, a centrist and pragmatist, who sees eye-to-eye with Yellin on monetary policy and operation of the Federal Reserve. Powell's appointment must be confirmed by the US Senate, which is expected to approve his nomination.